Watch our Honorable Judge Paul M. Glenn describe the dangers of not disclosing all information and fudging. 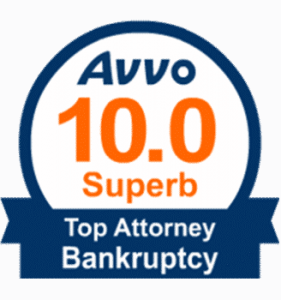 Bankruptcy is a Constitutional right for honest people who are looking for a fresh start due to a number of factors such as a loss of job, health, spouse, natural disaster, etc. When a Bankruptcy client shows me their monthly expenses, cable bills and phone bills are usually high. © 2018 Sherry Ellis Law, PLLC. Brought to you by Rough & Ready Media. DISCLAIMER: The links on this web page contain information created and maintained by other public and private organizations. These links are provided for the user’s convenience. Sherry Ellis Law, PLLC., does not control or guarantee the accuracy, relevance, timeliness, or completeness of this outside information nor does it control or guarantee the on-going availability, maintenance, or security of these Internet sites. Further, the inclusion of links is not intended to reflect their importance or to endorse any views expressed, or products or services offered, on these outside sites, or the organizations sponsoring the sites.